Yesterday was forecast to be a beautiful day, and I woke up to find the sun burning its way through the blinds. So I put up a packed lunch and we headed out nice and early. 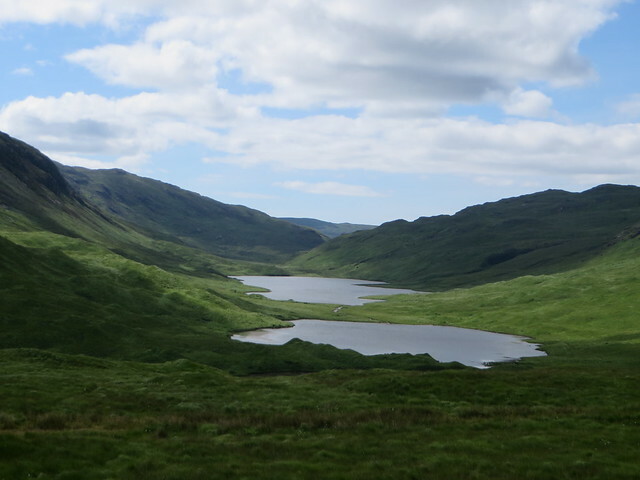 Then onto Pennyghael. 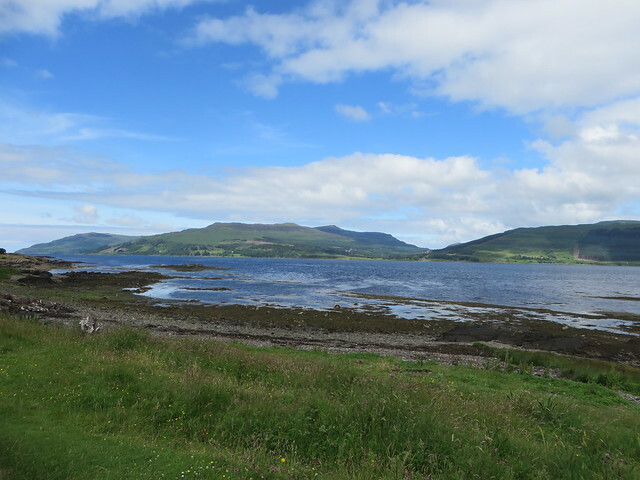 The views there were stunning – blue skies and sparkling water – which made up for the lack of exciting birds around. After a while we decided to head off and see what else we could find to look at. 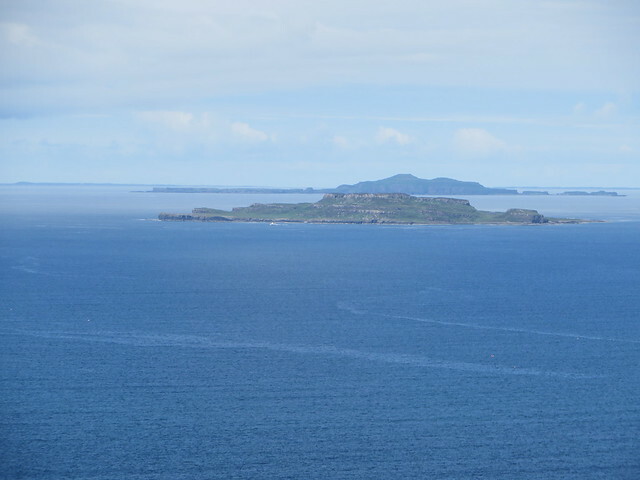 We drove north east, on a winding single track road which followed the coast, and stopped in a parking place to look at the islands – Staffa in the foreground with the Dutch Cap behind it. A little further on it all got very exciting. As we turned the corner we saw a bird – some sort of raptor – flying past the car with its catch in its claws. 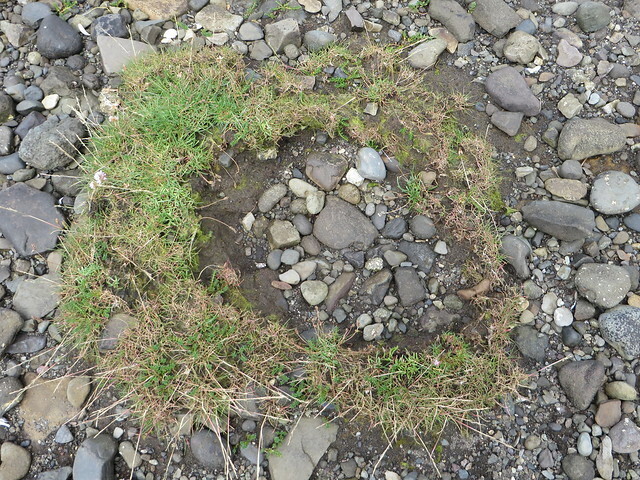 We got out our binoculars and cameras hopefully and looked around. 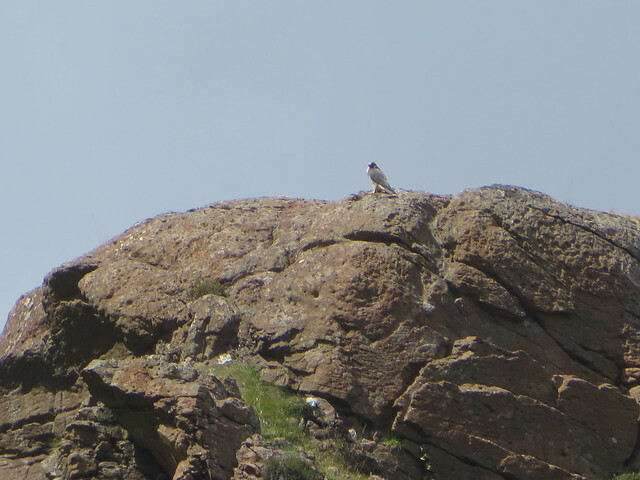 Niall spotted a peregrine (not the same bird as we had just seen) perched on a high up rock. I cranked my camera up to full zoom and hoped for the best. 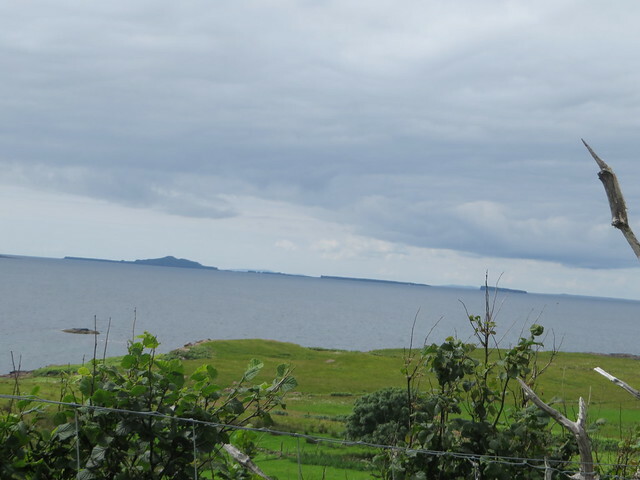 After a while we drove further north, with the Treshnish in the distance. Another raptor – likely a buzzard – hovering overhead. 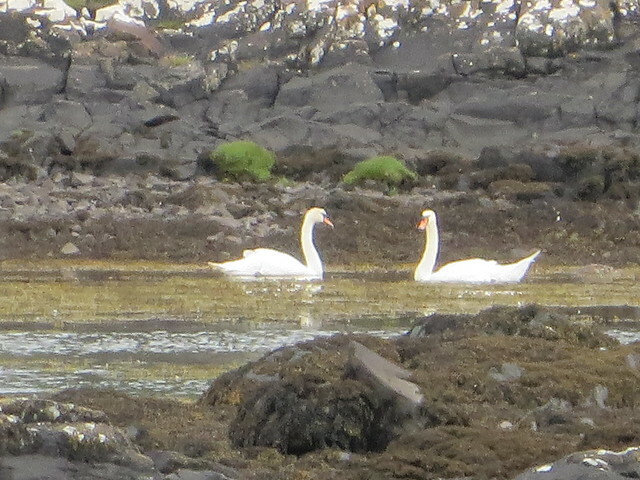 Eventually we parked back at the boats at Salen and looked at the wildlife – seals, swans, herons, and other sea birds. Today is a dreich day, so we’re staying home to PhD. Back to Glasgow tomorrow. 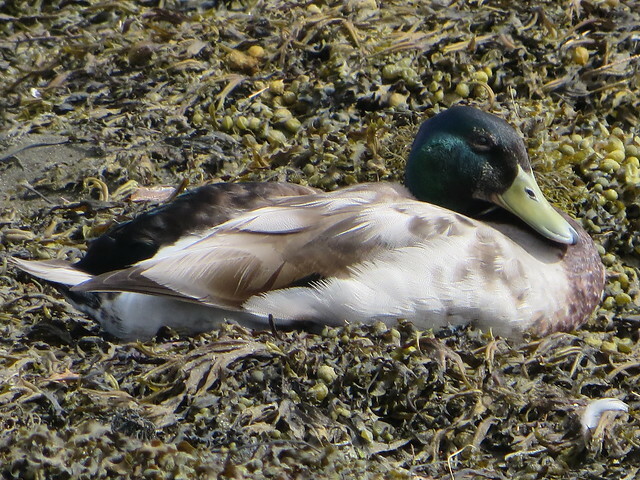 This entry was posted in Photos, Scotland and tagged ducks, Islands, mallards, Mull, Pennyghael, peregrine, raptors, Scotland, Staffa, swans, Treshnish. Bookmark the permalink.